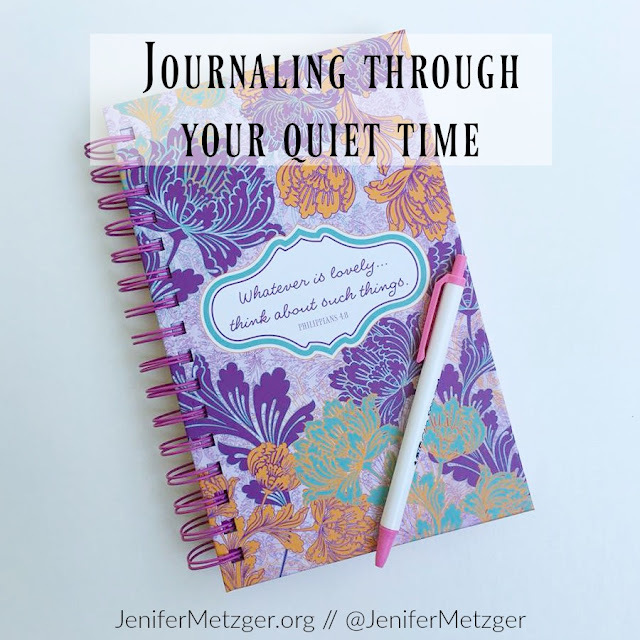 Have you ever journaled? 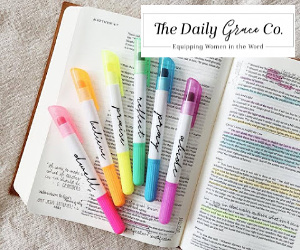 I journaled my Bible reading and prayers as a teenager and loved it. When I became a wife and mom, I got out of the habit. Several years ago I began to miss it so I picked up a journal and remembered why I loved it so much. Journal what you read. I always write down where I read in the Bible and then I write a verse that really hit me or maybe something that just stuck out to me. I have a bad memory so when I think of the verse later on but can't remember where I read it, I can go back to my journal. It also helps me to slow down as I read the Bible. Instead of rushing through the chapters, I am mediating on them as I write them out. 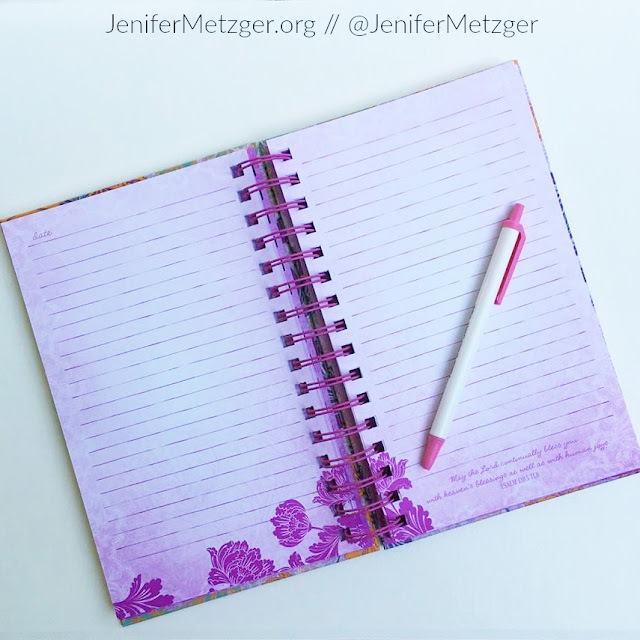 Journal a gratitude list. I always write down a few things I am thankful for. Sometimes it's something big that God is doing in my life, sometimes it's just remembering to be thankful for God's provisions like my husband's job or our home and sometimes it's being thankful for scented candles or ice cream. This is a great practice because when I feel like my life has been void of blessings, I can go back and see that God is indeed blessing me each day. It also helps me be intentional about thanking God for each and every blessing. Journal a prayer request list. I always write out my prayer requests. I love doing this because then when God has answers my prayer, I can go back to the written request and mark the date that God answered. This is a great way to see how God is moving in my life. Journal your prayers. I write out my prayers. I don't write out every single word. Sometimes there are things that I don't want on paper so I pray them out loud or in my heart. But I do write out a good deal of my prayers. It is a great way to slow down and really think about my prayers. The first few months of journaling, I realized my prayers were mostly asking God for things and very little praising Him. There have also been times I wanted to pray but the words just wouldn't leave my lips, yet they flowed easily from my pen. 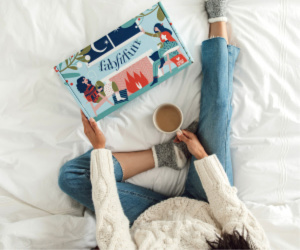 Do you journal? If so, what is your favorite thing about it? If not, have you ever considered journaling? Share your thoughts and experiences in the comments! 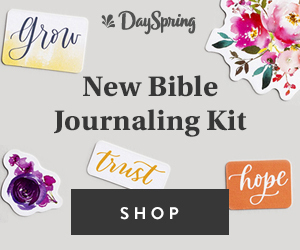 Today through Sunday, August 21st, Dayspring is having an incredible $5 Journal Flash Sale! 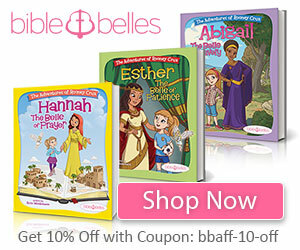 With over 28 different journals to choose from for only $5, there is something for each person. 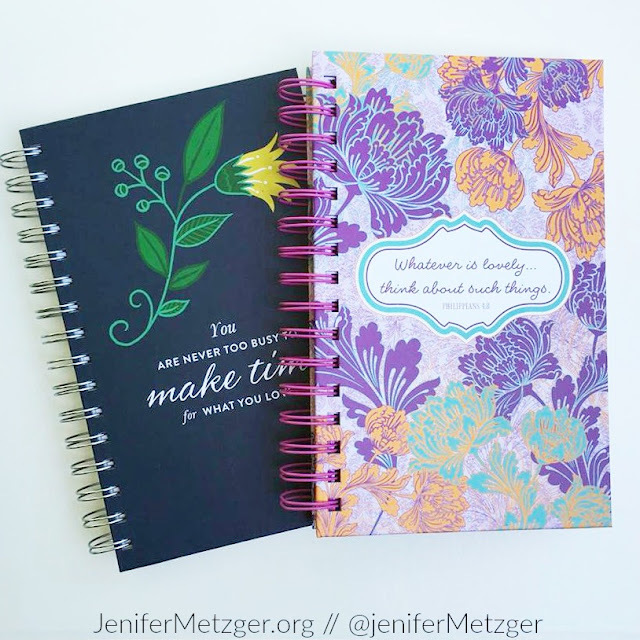 Dayspring journals make not only a great treat for yourself, but they also make a great gift. 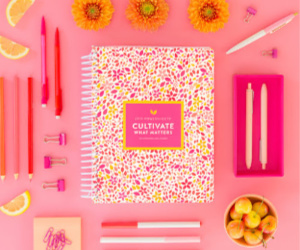 Give a journal to your child's new school teacher, your pastor's wife as a 'thank you' for her work at the church, your neighbor, sister, friend, hair dresser, anyone! You can even stock up for Christmas gifts! 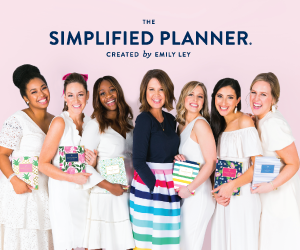 To shop the flash sale, click: $5 Journal Flash Sale.